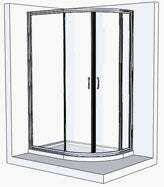 Shower trays UK - shower enclosure and tray, low profile shower trays in your cart. We are a leading online supplier of shower trays and enclosures, we pride ourselves on being able to provide our customers with quality manufactured products, which are perfect for their bathroom needs backed up by outstanding customer service. 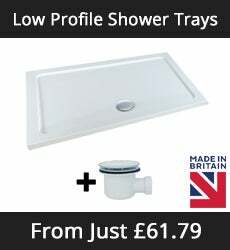 We only use branded shower trays from the industry leading manufacturers, we provide not only high quality trays with a beautiful finish but also strong and rigid trays which will last. 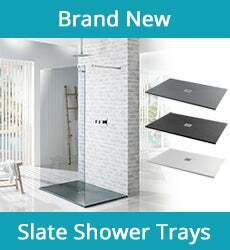 So whether you are looking for that low profile shower tray for a walk in style bathroom with a wet room screen or a classic high walled shower tray or even a coloured slate effect shower tray we can help find the product that is right for you. At Shower Trays UK we have learnt over the years that getting the manufacturing process right is essential in order to achieve great products which perform to a high standard. That is why our enclosures and wet rooms are manufactured just for us, to a quality and standard we would have in our own homes. 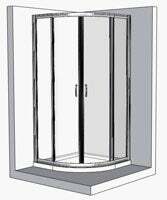 Our wet room and enclosures are made from tempered safety glass both 6mm and 8mm thick for that extra security and comfort, all our products come with guarantees and because we manufacture the enclosures in house we always have parts to hand should you need them. 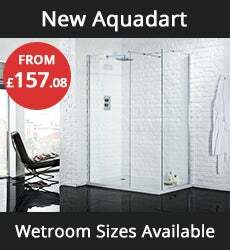 Shower Trays UK provides all possible variations of shower trays with different shapes, types and sizes. The types of shower trays we have are ranging from low profile shower trays to shower trays with up-stand as well as high wall shower trays. 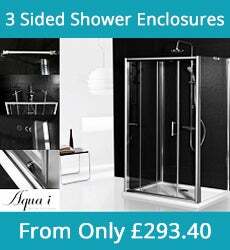 The shower enclosures Shower trays UK provides come with a 25 year guarantee. 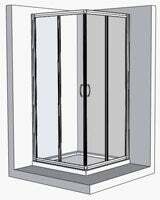 The shape of the shower enclosures vary from quadrant shower enclosures to wet-room screen shower enclosures as well as sliding door shower enclosures. 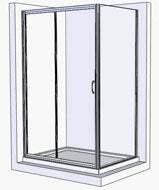 Shower Trays UK have packaged each of its shower enclosure and tray such that all the combination of the types and sizes of shower trays and shower enclosures can be purchased in form of a single deal with prices one will not find elsewhere.